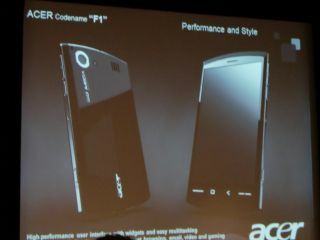 PC giant Acer has confirmed that it will be releasing an Android mobile phone in 2009. Acer is a huge figure in the computer world, but is also pushing for a share of the smartphone market. And it seems that the rumour that an Android smartphone would be arriving in September was close to the mark, with the head of the company's phone unit, Aymar de Lencquesaing, confirming a 2009 arrival. "Late 2009, we're releasing a smartphone... full touch, at the price of feature phones today," de Lencquesaing told the Reuters Global Summit. The Android operating system for mobiles is becoming an increasingly popular option for both the public and companies. The Google backed mobile OS has sold well to date, despite a limited number of carrying handsets, and a raft of new phones are in production, as well as several laptops.